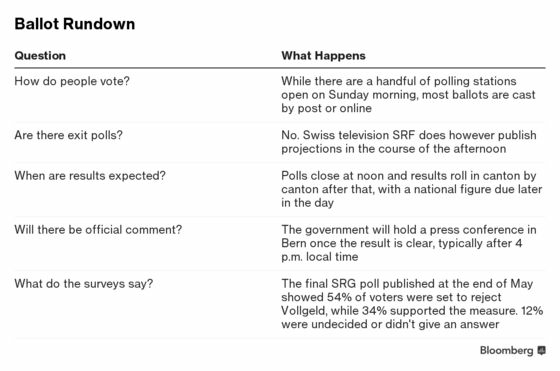 (Bloomberg) -- The Swiss are about to decide on the future of their banking system. Up for a national vote on Sunday is a measure that would upend the way financial institutions do business by forbidding banks from “creating” money through lending. That’s something that’s been a key tenet of finance for centuries, but one that some have questioned given the industry’s role in the global crisis a decade ago. 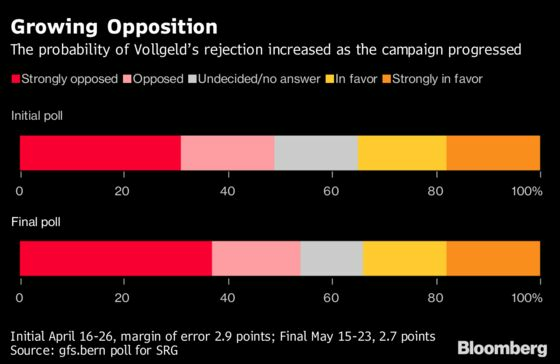 The “Vollgeld” proposal, opposed by the government and the Swiss National Bank, is unlikely to pass, according to polls. But its very existence shows how -- even after global regulators piled multiple tougher restrictions on banks -- there’s lingering resentment and lack of trust in the financial industry. Negative views aren’t just due to the economic downturn whose legacy is still being felt. There were also bailouts for banks -- including Switzerland’s own UBS in 2008 -- as well as scandals surrounding rogue behavior, benchmark rigging and bribery that led to billions of dollars in fines. The Swiss referendum has its roots in the country’s direct democracy system, where 100,000 signatures gets you a national ballot. There are usually multiple such votes a year. Under Vollgeld, the SNB would be the only entity allowed to create money and consumers’ checking accounts would have to be fully backed by central bank-issued cash. Supporters argue it would rein in asset price bubbles by putting the central bank solely in charge of the amount of money in the economy, though analysts at UniCredit, who’ve dubbed it an “extreme” proposal, dispute its effectiveness in this regard. SNB President Thomas Jordan has come out against the initiative in a media blitz of interviews and speeches, warning it would impinge upon his institution’s independence. The Swiss Bankers Association says it puts jobs, tax revenues and the country’s prosperity at risk.